Some 3-5 hours south to the Pantanal is the 7,000 ha Ypiranga Farm. We`ll explore this farm where the beautiful Piuval Lodge is located. 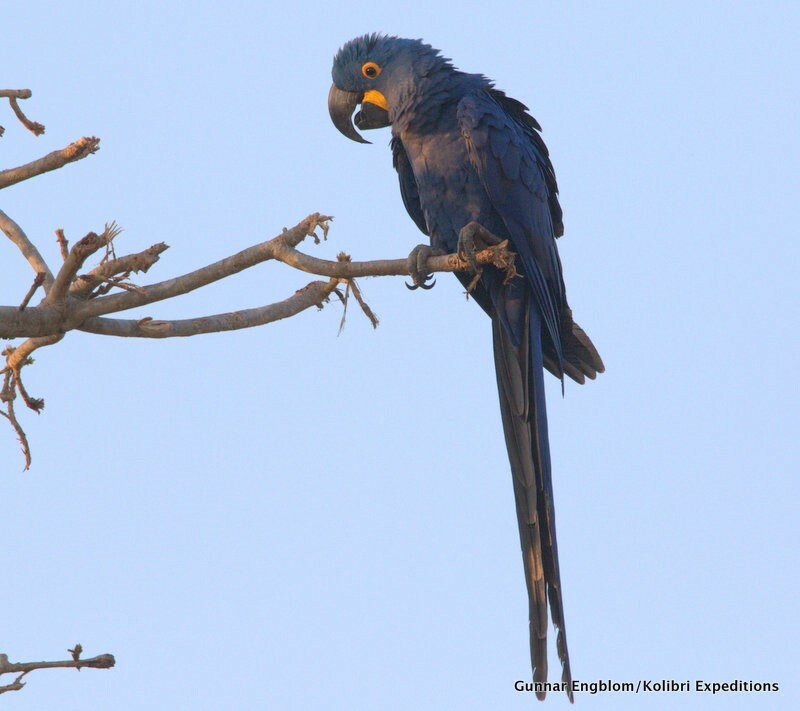 Famous among birders for having the world’s largest Macaws, the Hyacinth Macaw; nesting not too far from the lodge itself. Buff-necked and Plumbeous Ibis, Whistling Heron, Toco Toucan, Jabirus and Wood Storks, Golden-collared Macaw, Monk & Golden-chevroned Parakeets, Turquoise-fronted Parrot, Black-fronted Nunbird, Undulated Tinamou, Chaco Chachalaca, the Brazilian endemics Chestnut-bellied Guan and Planalto Slaty Antshrike, Savanna, Black-collared & Great Black Hawks, Great Rufous Woodcreeper, Lineated Woodpecker, Orange-winged Parrot are some of the targets. There are two towers worth visiting. From one of then we can observe from a distance a large colonies of hundreds of water birds (Roseate Spoonbill, Wood Stork and Great Egrets). On the forest road to the Piuval lake search for Pale-crested Woodpecker, Large-billed Antwren, Saffron-billed Sparrow, Cinnamon–throated Hermit and White-eyed Attila. Night drives here may produce besides lots of Pauraque, Scissor-tailed, Little & Spot-tailed Nightjars and both Potoo species - the Common and the Great. After lunch we leave Piuval to Hotel Mato Grosso. 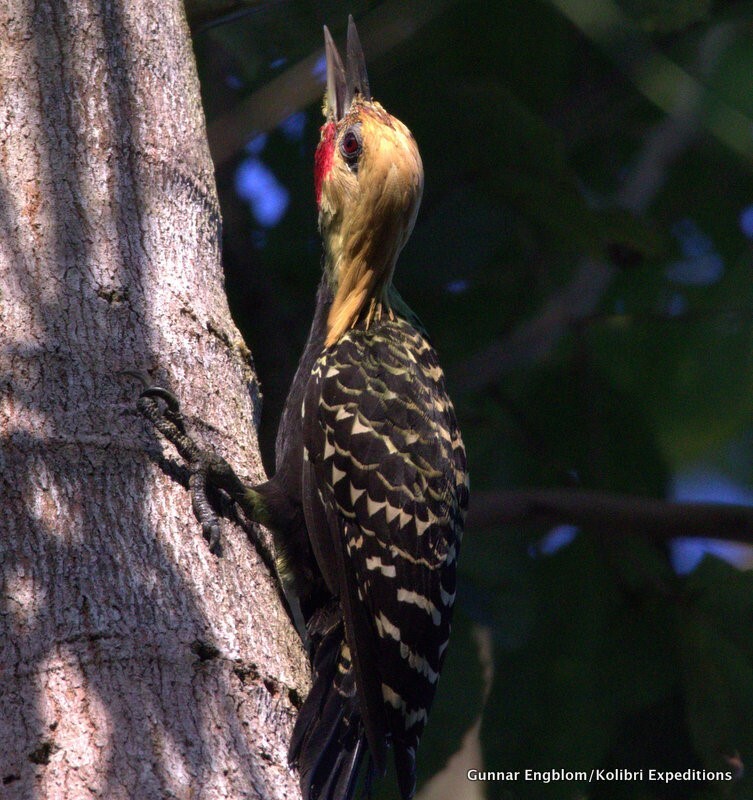 There are feeders around the lodge and many opportunities for bird photography. Morning bird photography near lodge. We shall look for Fawn-breasted Wren, White-wedged Piculet, Chestnut-vented Conebill, Rufous- tailed Jacamar and Hooded Tanager around the hotel. 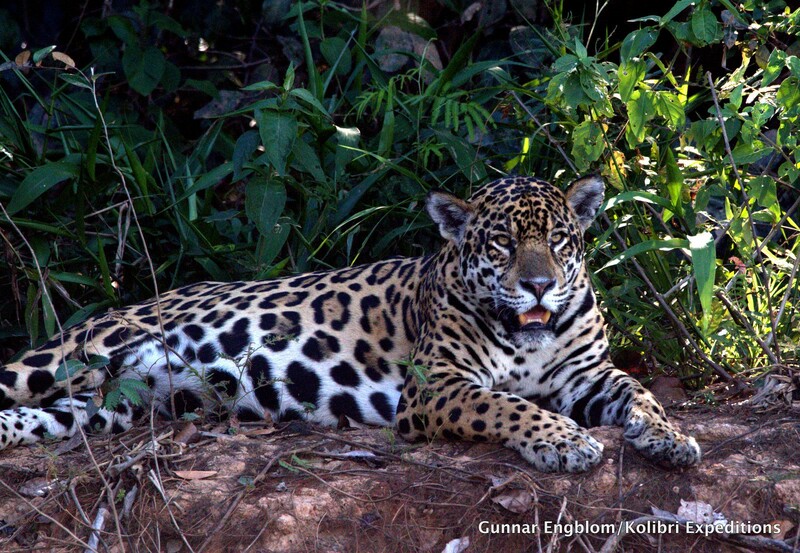 We shall then travel to Porto Jofre to do an afternoon boat trip searching the banks of the large Cuiabá River for Jaguar and other wildlife. The Cuiabá River and its tributaries. It’s estimated that we have a 70% chance of spotting one of these elusive cats (normally in hot weather), a probability that is higher than just about anywhere on Earth. 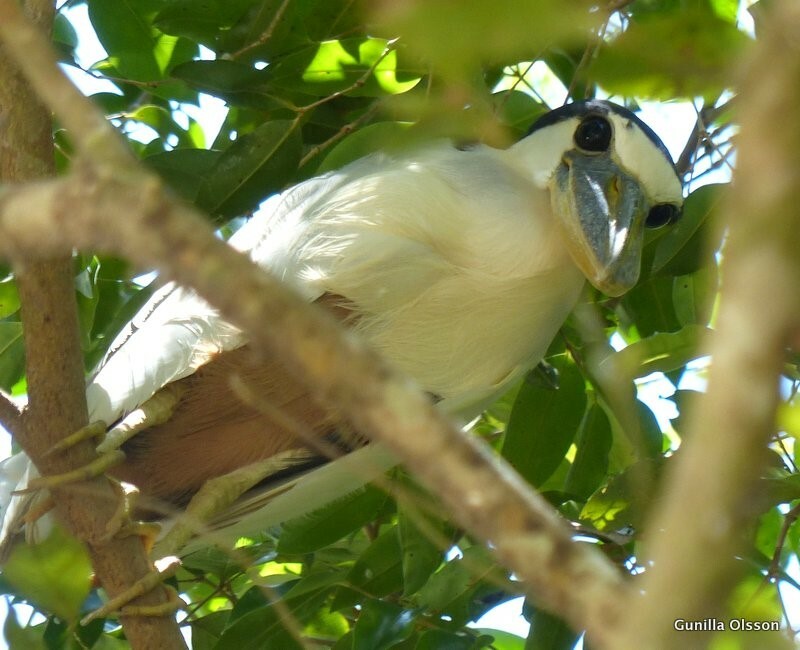 Black Skimmers, Large and Yellow-billed Terns, Collared and Pied Plovers, Red-throated and Blue-throated Piping Guan and Bare-faced Curassow will usually interrupt our searching for the cat, but they are welcome. Giant Otters and Tapirs are also frequently seen. We shall spend the night at Pousada Jaguar lodge close to Porto Jofre. Another day looking for Jaguars. We’ll take a box lunch so we have flexibility to be out as long as we want. If people wish, we may decide to make yet another try for Jaguar in the afternoon. Night at Pousada Jaguar lodge or Hotel Mato Grosso Pantanal. Some additional bird photography in the morning on the Transpantaneira and the Fields of Jofre, an area that retains water longer than surrounding areas, so it’s very good for water birds like Maguari Storks, Southern Screamer, Black-bellied and White-faced Whistling Ducks, Little and Striped Cuckoo, Cinereous-breasted and Chotoy Spinetail, Subtropical Doradito and many more. Later we drive back to km 42 of the Transpantaneira were we have the next lodge in our itinerary, the Rio Claro, with stops along the way to watch birds including the handsome Scarlet-headed Blackbird. We shall start doing an afternoon boat drive to look for Boat-billed and Zig-Zag Heron, Hoatzin, American Pigmy and Green-and-Rufous Kingfishers, Rusty-backed Spinetail, Band-tailed Antbird, Yellow-collared Macaw and the sunny duo: the Sungrebe and Sunbittern. In the morning we shall do a 3-hour-long motorboat trip in the Rio Claro. In this small river we will look for the Agami and Boat-billed Heron. After lunch and having checked out the feeders we shall return to Piuval Lodge, to be in striking range for the airport should there be early flights to catch. 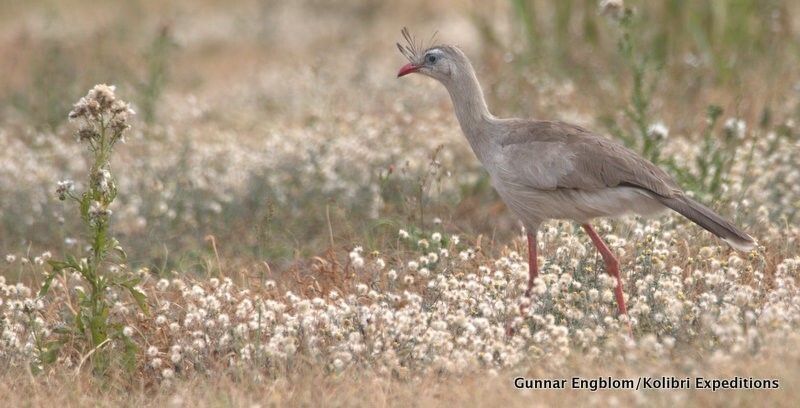 Day 7: Birding at Piuval.